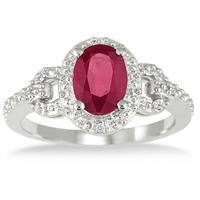 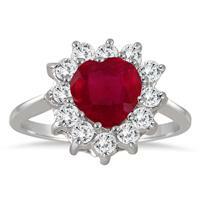 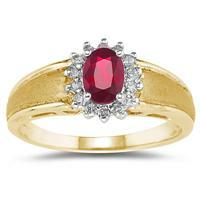 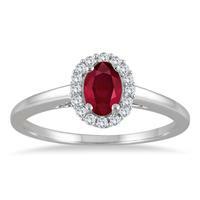 A beautiful ring featuring and cushion cut created ruby and 2 genuine diamonds. 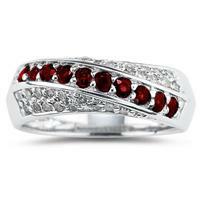 The ring is crafted on solid .925 sterling silver. 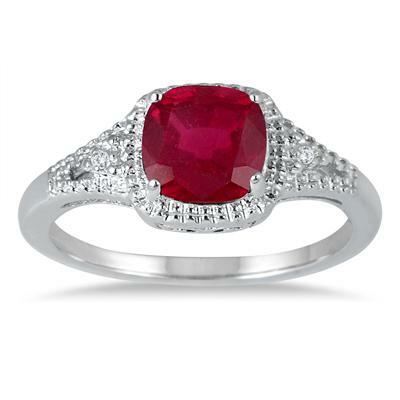 The ring comes in a standard size 7 and can be re-sized by a local jeweler or by calling our customer service department and requesting a custom size.